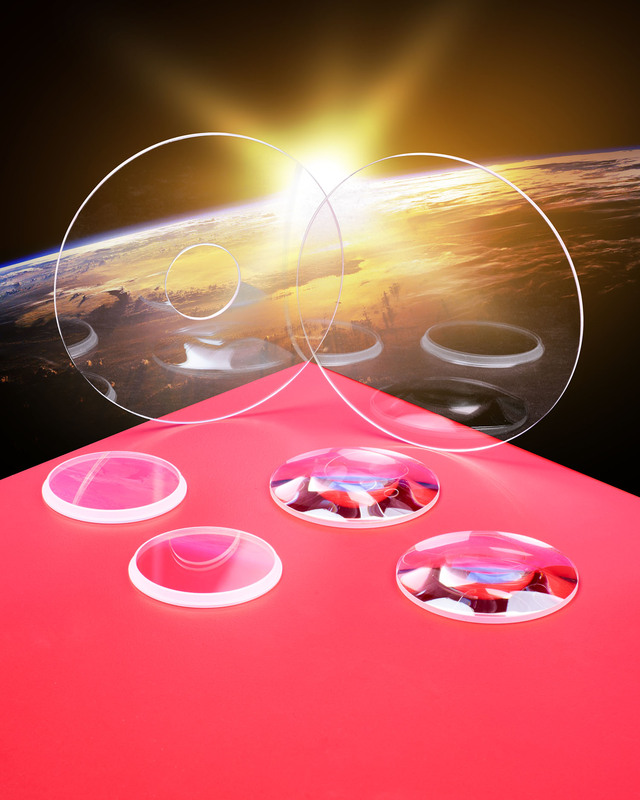 Custom fabricated sapphire optics for use in aerospace and other critical applications requiring resistance to fast-moving dirt, temperature extremes, and high pressure are available from Meller Optics, Inc. of Providence, Rhode Island. Meller Sapphire Optics are custom fabricated and feature a curve radius tolerance of 0.5” to 2.5” with focal length accuracy of ±0.0005”, depending upon radius, to provide optimum clarity. Impervious to water, most acids, alkalis, abrasion from fast-moving particulates, temperatures to 1,000°C, and pressures up to 10,000 psi, they are ideal for aerospace applications. Providing surface finishes from 60-40 to 40-20 scratch-dig, flatness held to 0.5 fringes of HeNe, and parallelism from 20 to 2 arc/secs., depending upon configuration, Meller Sapphire Optics can be manufactured in 3/8” to 4” dia. sizes in varying wall thicknesses with ±0.001” tolerances in plano-convex, -concave, meniscus, and dome shapes, including custom edge finishes.